Anastasia is the story of the last and lost princess of Russia. 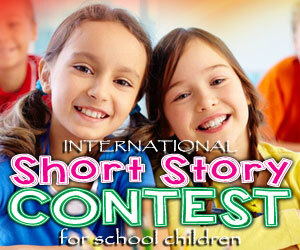 It is an enchanting fairy tale, the most loved genre by children. Anastasia is the last child of the Russian’s Emperor Kingdom. During a ceremony, Anastasia’s father, the Emperor invited her grandmother Marie. The proud grandmother offered a beautiful necklace to Anastasia, who was 8 years then. Unfortunately, Rasputin, who was punished for crime had a deal with devil and ruined the celebration. The emperor was killed and the revolution began. While the devil and Rasputin were about to attack grandma and Anastasia, they were saved by a boy called Dmitri. He took them through a secret path. While Anastasia and Marie were about to board a train to escape, Anastasia was badly hurt on her head, while her grandmother climbed the train. They were separated. Marie went to Paris and could not control her grief over losing her only grandchild Anastasia. After almost 10 years, she made an announcement to offer 10 million rubles as prize for one who could bring Anastasia to her. Dmitri, who saved the pair and his friend decided to get the prize by finding Anastasia. They hunted for Anastasia’s lookalike and even took a few fake girls in front of Marie. However, Marie found that none of them was Anastasia. Dmitri and his friend continued their search. Meanwhile, Anastasia grew up into a beautiful girl. Losing all the memories of her past, she was raised in an orphanage. Dmitri found Anastasia and even realized that she was the real one by seeing her necklace. However, Anastasia didn’t remember anything. While she was talking to Dmitri, she could recollect some scanty memories. The boys took Anastasia to Maria. Unfortunately, Marie, who was fed up with fake identities refused to see the real Anastasia. When Dmitri was arguing with Marie and her assistant, she recollected all her forgotten memories. She talked to Dmitri and told him that she remembered everything. They met Marie and the grandma was happy to see Anastasia. The grandmother as promised offered the reward of 10 million rubles, but Dmitri refused to accept and left the place. Dmitri had fallen in love with Anastasia, but he left because he could not marry her. Anastasia also loved Dmitri and her grandmother Marie let her choose her life. While Anastasia went in search of Dmitri, she was trapped by evil Rasputin who killed her father. How was she saved? Watch the entertaining and exciting movie. 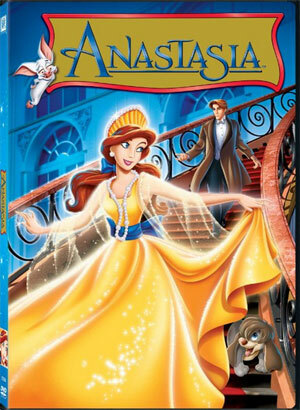 This animated movie is scripted based on the famous children’s cartoon, where Anastasia is a popular character. It is a fantasy movie of the musical genre. The main character, Anastasia is beautifully depicted in the movie. With harmonizing music and interesting script, the movie will be loved even by elders. This animated movie is one of the best animated movies and children would love watching it.